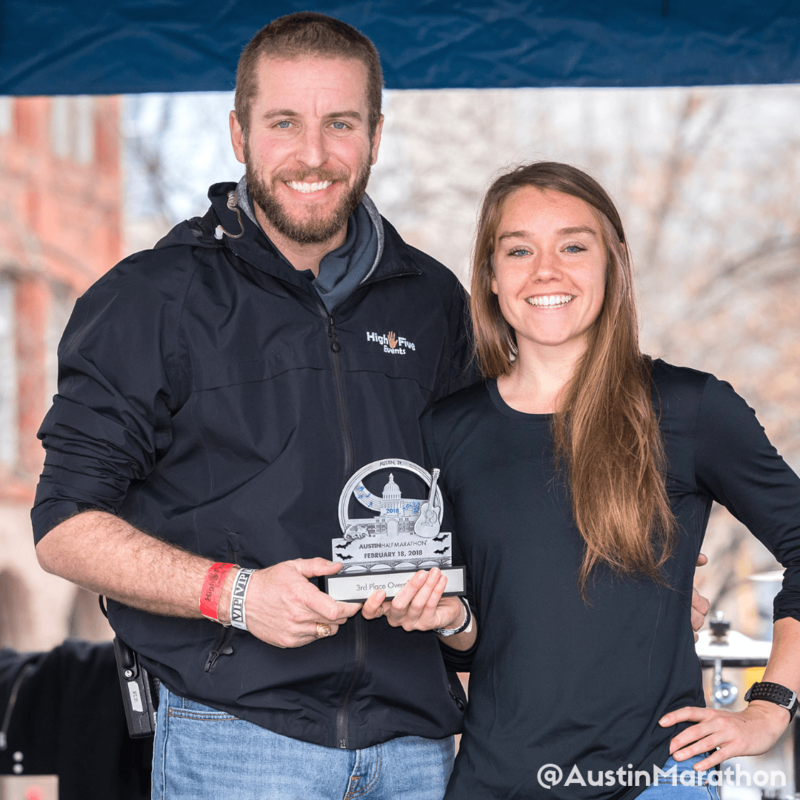 Jocelyn Todd accepts her award for finishing 3rd place at the 2018 Austin Half Marathon. 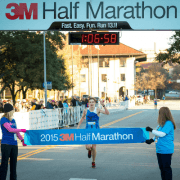 Introducing the first round of accepted elite runners for the 2019 Austin Marathon® presented by Under Armour®. 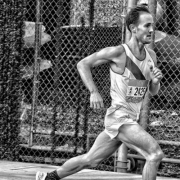 Elite runners not accepted into the Elite Athlete Program are still invited to run in the Elite Field. 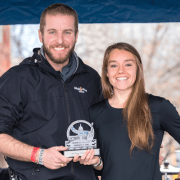 Returning for its third year in a row, this opportunity creates a competitive field of male and female elite runners while discovering emerging talent, pushing the entire talent pool to reach Olympic standards. The Program’s Year Three prize purse totals $26,000. 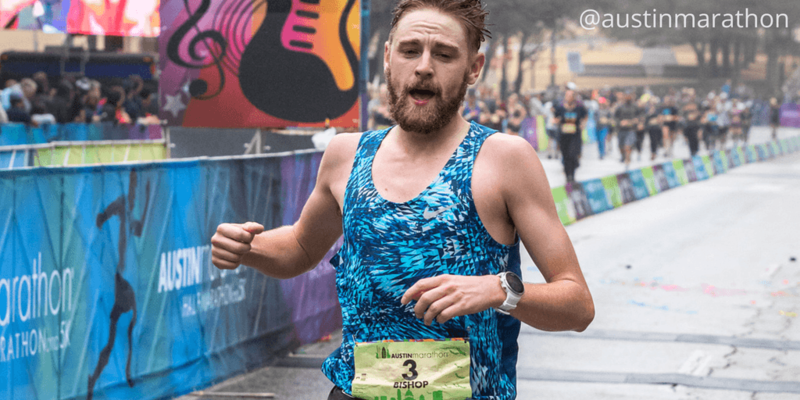 FloTrack’s live coverage highlights the competition amongst elite runners, following male and female marathoners and half marathoners. 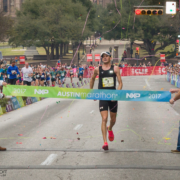 Daniel Bishop crosses the 2018 Austin Marathon finish line in 3rd place. 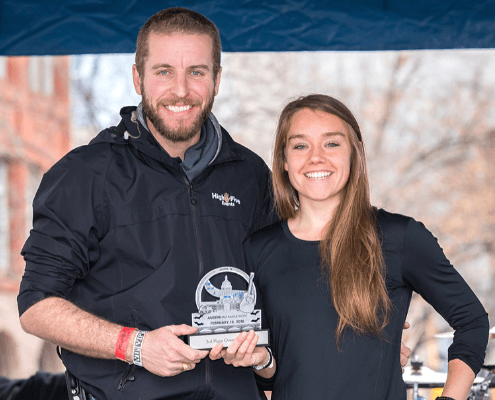 The prize purse breakdown follows: $15,000 for the marathon, $5,000 for the half marathon, and $6,000 for the Manzano Mile presented by Dole. Applications are arriving daily. More than 50 applications have been submitted. 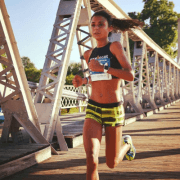 We will announce the second round of elite runners in a few weeks. 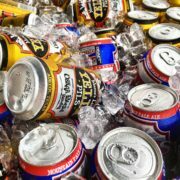 Applications are still being accepted and elite marathoners can apply on the Austin Marathon’s website. 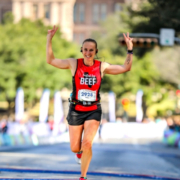 Athletes that meet the program’s standards and are accepted will be given one comp entry to the 2019 Austin Marathon or half marathon, reimbursement eligibility, and standards bonuses.